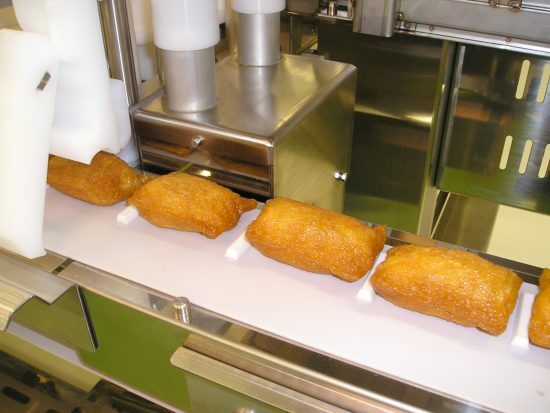 Equipped with a "preparatory opener apparatus for fried tofu (patented)" using a mechanism developed by Suzumo. 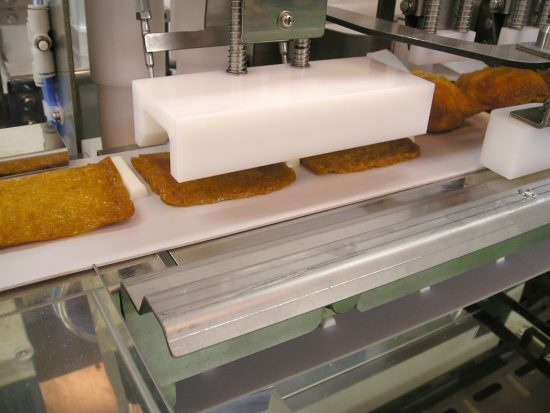 Blows air into the fried tofu on the transfer conveyor to prepare openings in the tofu. 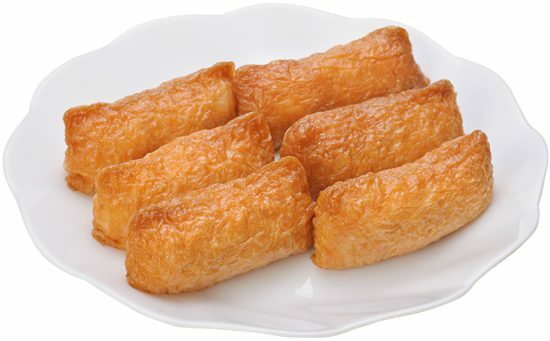 Facilitates stuffing the wrapping with sushi rice, resulting in cleanly prepared Inari sushi. Simple design with a minimum of parts and emphasis on operability. Also improves maintainability and sanitariness. 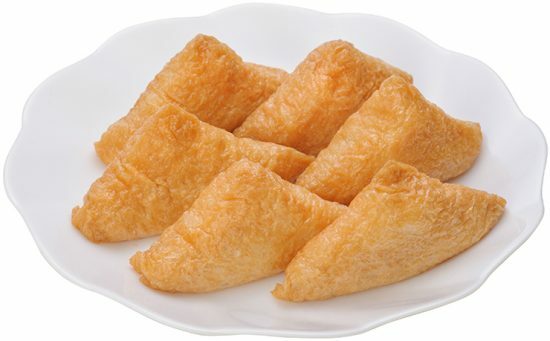 Creates a variety of products ranging from regular to jumbo sizes, as well as the Kansai-style triangular Inari. 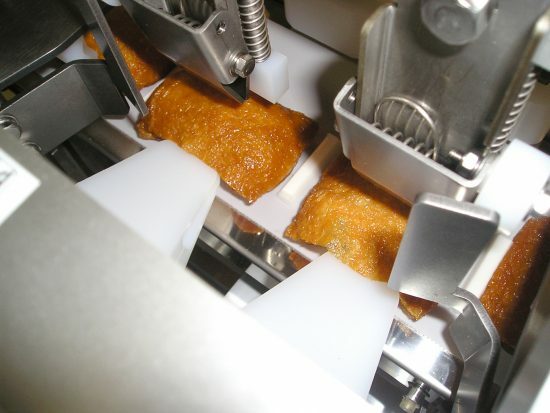 *Special order required Handles everything automatically, from delivering uniform amounts of sushi rice to creating prep openings in the tofu, stuffing the rice, and forming the finished product. 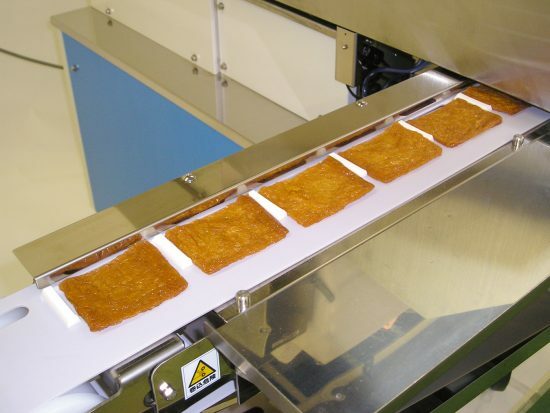 Easy to operate, handling automatically everything from delivering uniform amounts of sushi rice to creating preparatory openings in the fried tofu, stuffing the rice, and forming the finished product. 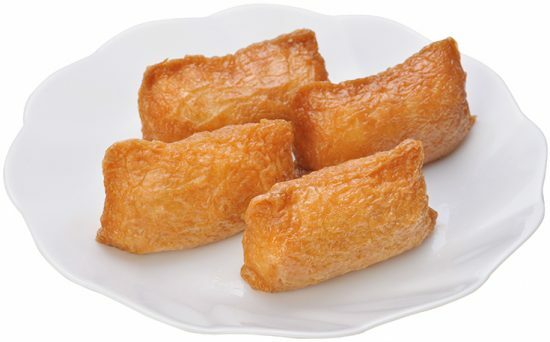 Thanks to Suzumo's own forming mechanism (patented), products of a uniform type can be planned for with fluffy sushi rice stuffed deep into and throughout the tofu pockets and a higher quality of the finished Inari. Easily disassembled for cleaning purposes, with a special mechanism that keeps rice and seasoning juice from dropping to the floor. Maintainability and sanitariness considerably improved. Simple design with a minimum of parts and emphasis on operability. 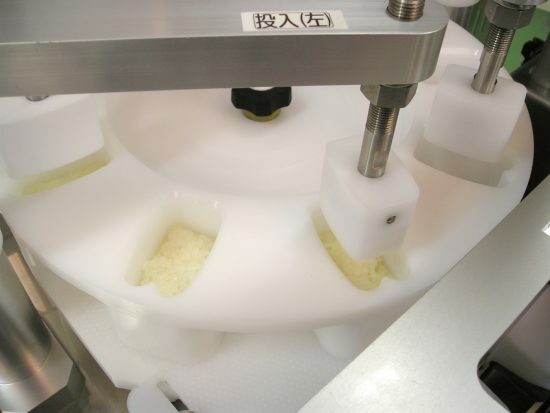 Sanitary since it can be disassembled for cleaning after use. Disassembly and assembly can be handled without tools. 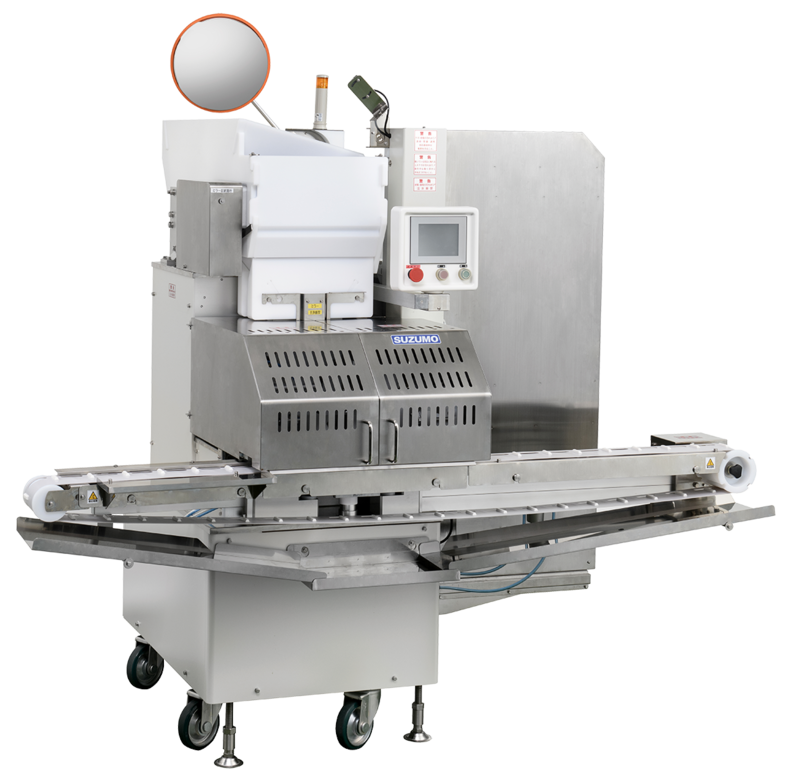 Equipped with a protective cover designed with safety and operability in mind.